The Rhame Avenue School’s K-Kids Club hosted their annual Earth Day Clean Up at Memorial Park on April 21. K-Kids members, students, parents, community leaders and faculty advisers Dawn McCabe and Sherina Lugo met at the park Saturday morning with one mission in mind, to give back and contribute to the community they love so much! They all worked together to pick up trash and clean park equipment. 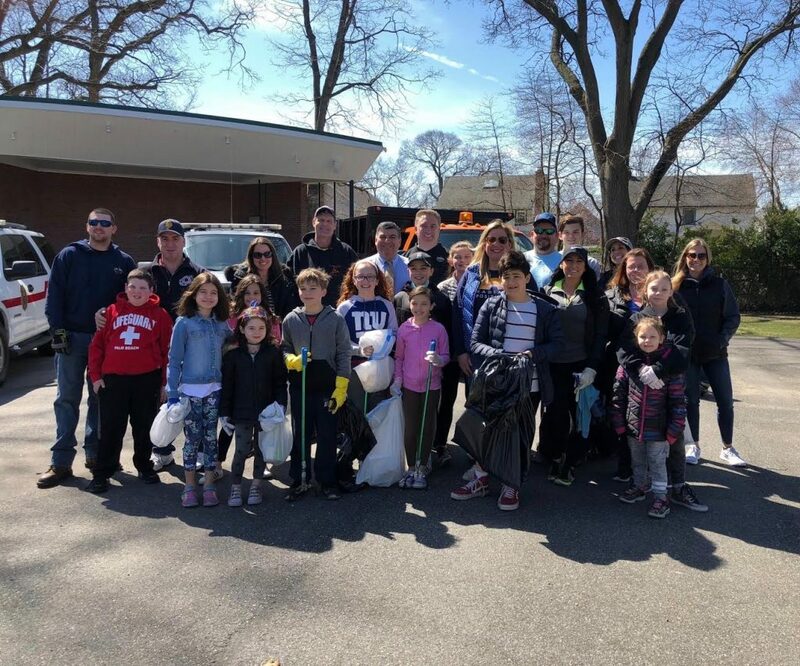 Photo Caption: The Rhame Avenue School’s K-Kids Club hosted their annual Earth Day Clean Up at Memorial Park on April 21.